Marijuana use is widespread and very popular for recreational use among teens and young adults. As you know, here in California, medical marijuana use is permitted to people with certain health conditions. For young people under 18, if they are not an emancipated minor, they would need parental/guardian consent. So let’s examine the effects marijuana can have on teenagers. Marijuana seems to have the greatest long-term effects on younger users whose brains are still developing and maturing, a process that continues into the mid-twenties. Imaging studies in teens have shown that regular marijuana users tend to display impaired connections between the nerve cells in the areas of the brain involved with memory, learning and impulse control. According to the National Institute on Drug Abuse, research shows marijuana’s negative effects on attention, memory and learning can last for days or weeks, long after the high is gone. Studies have also shown heavy marijuana use as a teen is associated with an average loss of 8 IQ points in mid-adulthood. Users who began using marijuana heavily in adulthood, however, did not lose IQ points. Further, young people with a certain gene variation may be more prone to psychotic disorders with marijuana use. And although many people report a calming effect from marijuana, for about 20-30 percent of recreational users, it has the opposite effect, causing anxiety and panic attacks. But it also can have positive effects on the brain, such as regulating the way the brain processes fear and anxiety in people with PTSD and anxiety disorders. But overall, there is still much debate over the risks verses benefits. Marijuana may also cause dizziness upon standing up (orthostatic hypotension), raising the risk of fainting and falls. Chronic users will establish tolerance over time to some cardiovascular effects. Marijuana smoke may cause irritation to the throat and lungs and can lead to heavy cough. One study found that frequent marijuana smokers used more sick days than other people, often because of respiratory illnesses. 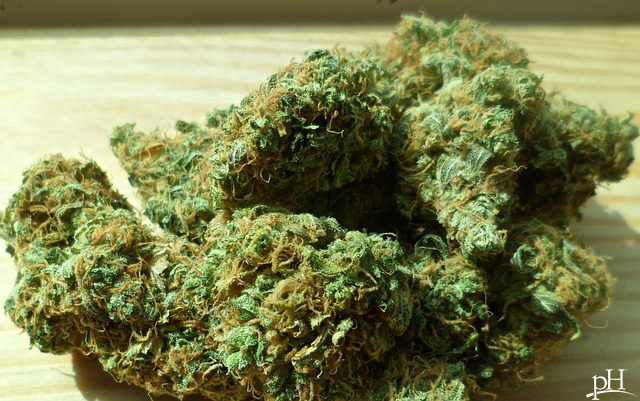 A study published in Addiction analyzed 20 years of research on marijuana use. The study pointed out that no one has ever died from a natural marijuana overdose. However, driving while high doubles the risk of a car crash. Marijuana has been linked with low birth weight when used while pregnant, and some of the common side effects include anxiety, paranoia, dysphoria, cognitive impairment and psychotic symptoms (particularly in people with a family history of psychosis). It is more likely to be addictive for those who start as teens. And there is some evidence showing a link between marijuana use in adolescence and an increased risk for aggressive form of testicular cancer, which predominantly strikes young males. So what about the medical use? Some of the conditions that have been approved for medical marijuana use in California include AIDS, anorexia, arthritis, cancer, chronic pain, glaucoma, migraine, multiple sclerosis, seizures, severe nausea and others. A recent study published in the Journal of the American Medical Association shows medical marijuana may benefit patients with chronic nerve pain or cancer pain, as well as people with M.S. who have muscle spasms. However, though medical marijuana is used to treat a number of conditions, few have the credible research to back up the benefit. According to National Institute on Drug Abuse, there are two main chemical compounds, or cannabinoids, that are used medically: THC and CBD. THC increases appetite and reduces nausea. THC also may decrease pain, inflammation and muscle control problems. Unlike THC, CBD doesn’t affect the mind or behavior. It may help reduce pain and inflammation, control epileptic seizures and possibly assist in treating mental illnesses and addictions. Researchers continue to explore how THC and CBD, and other cannabinoids, may be used for medical treatment. If you think marijuana may help your teenager’s medical condition, speak with a competent doctor to ensure you understand how it may affect him or her, based on family history, genetics, age and gender. Also, be proactive in having open discussions with your teen about the documented health effects of marijuana.